We have gorgeous weather in the forecast for this early May weekend. And with this quick easy maintenance checklist we can have your home in tip top shape. Did you know about 90% of inspection findings can be prevented? Most findings are deferred home maintenance and repairs. This checklist will help you sell your home faster without complications. Test GFCI and AFCI outlets. It is also a good time to replace blown light bulbs. Engineers calculate the optimal lighting needed for various areas and task, so a blown out bulb actually deprives you of the best light for your task. The decreased lighting creates conditions for tripping over items left on the floor, slips and falls. Also, decreased lighting causes negative health effects such as headache, eyestrain and even depression. Test smoke detectors and/or replace batteries. If the detector looks old, it is time to replace it. In a previous blog I showed a white smoke detector so old that it turned yellow. The general life expectancy of a smoke detector is about 10 years. You want the detector to work when it needs. The worst time to learn that the detector is inoperable is when you need it to save your life. Look for cracks in pavement and walkways. Then seal them up! As a Civil Engineering Journeyman I learned the composition, materials and defects of pavement materials. Cracking occurs, but it’s not normal. 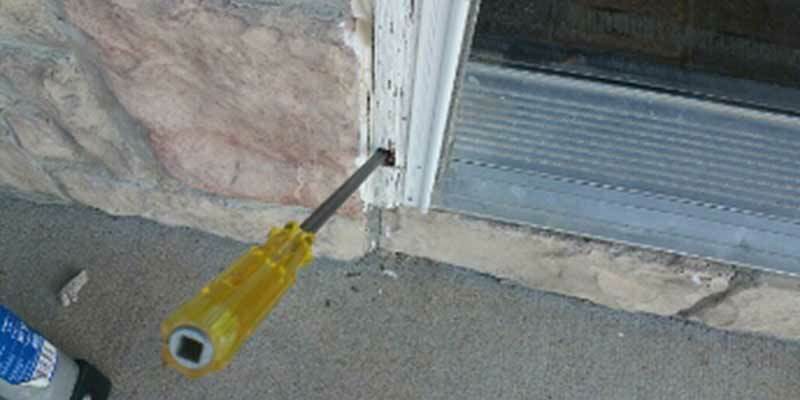 Sealing cracks help prevent further damage to the pavement. Leaving pavement unsealed allows water to penetrate down unto the subbase. Once the subbase gets saturated it starts to wash away leaving the pavement unsupported and sagging or cracking further. Epoxy is the best solution for pavement with an elevation difference to level out the pavement and fill the underlying voids under cracked and unlevel concrete. Asphalt once cracked requires crack filling. The surface needs to stay waterproof with blacktop. Look over the roof. New construction or new roofs, I’m always amazed at what I find. I recommend taking a peak every year to evaluate the condition of the roof. Walking the roof is the best method to inspect the roof which is why we inspect that way. However, sometimes it’s not safe to get on top of the roof or you may not feel comfortable climbing atop. Viewing it from the edge gives you a decent vantage point also. Here’s what you’re looking for. There are a few more items that we look for as professional inspectors, but these few items are easy for you to spot. 1. Check out the surface. On an asphalt roof does it have black spots in the surface where the granules are completely removed. This is hail damage. If its bad enough you should contact your insurance company for guidance. 2. Is the flashing in tact around plumbing pipes, vents, and the chimney. A peak in the attic for water stains after a heavy rain will give you all the proof you need that flashing is damaged. 3. Is there metal flashing in place at wall to roof sections to direct water away from the house. This is called counter flashing and kick-out flashing. Probe exterior wood trim. Deteriorated wood outside on the home allows critters, termites you name it to enter feast on your home. No matter whether its dry rot, deterioration or termite damage, damaged wood trim should be replaced. Look at the siding also. Wood siding is especially susceptible to moisture damage on its edges if it isn’t properly maintained by caulking and paint sealing the nail holes, joints, and keeping multiple coats of paint on it. Check gutters. With the spring rain come stormwater pouring down the roof into the soil around the foundation. 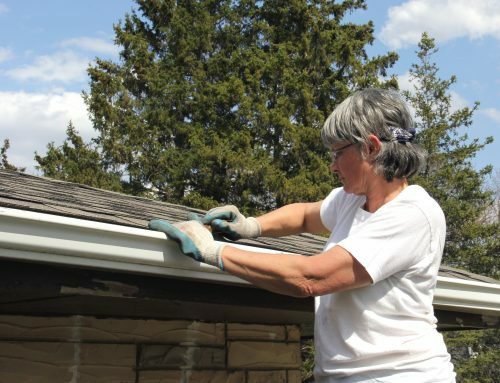 Check to make sure the gutters are attached to the home and secured tight and slope correctly to ensure water flows into the gutters and into the downspouts. Look to make sure the downspouts allow water to flow 5-6 feet away from the foundation. If you neglect this small drainage requirement cracking and foundation movement will certainly occur in a few short years. I recommend to every client buying a home without extension tubes to invest in them. A $10 piece of plastic purchased today will save thousands. Add soil around the foundation for improved drainage. Proper stormwater drainage requires the combination of several things working together. The sloping of the soil to drain water away from the foundation is the most important part of stormwater drainage. Once rainwater reaches the soil we need the water to continue to flow away from the foundation and not back toward it. The adequate slope of soil is for it to be 6 inches higher at the foundation than it is 10 feet away from the foundation. If a proper slope isn’t possible a French drain tied to a sump pump may be the only workable solution. Evaluate the chimney. Now is a good time to have the fireplace, flue and chimney top cleaned and evaluated by a certified chimney sweep. This is more important with wood-burning fireplaces. Keep wood away from the home. Spring brings termites out to forge for food. When firewood is placed against the home, termites nest and feast on the wood. Next, they work their way into the home. Once termites are in the home it takes hundreds of dollars for treatment and extermination. Test outside faucets. Open and close faucets making sure the gasket inside seals the faucet closed. This also ensures that the cold weather didn’t freeze them permanently shut. Service the air conditioner. 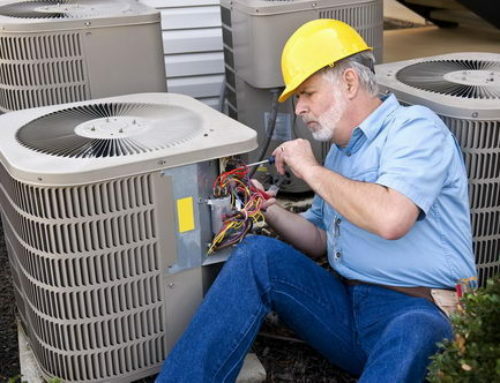 Countless people will have an emergency call into a busy air conditioning company this year. That spring maintenance appointment can help prevent you from making a frantic call on a 95 degree summer day. Service lawn care machinery. A sharpened mower blade, tuned mower or trimmer mower can help extend the life of your lawn equipment and make your lawn chores go faster with less effort. Adjust the humidifier settings on your furnace back to off. During the winter a 30-50% humidity setting adds much needed moisture into the home when the humidity outside is considerably lower than 30%. With the warm weather come the capacity for the outside air to handle a greater amount of moisture (humidity) in the air so there is no need to have the humidifier on. You can turn the knob to “0” until the temperature drops again in the fall. Remember too much moisture and humidity inside the home creates conditions for mold to grow.